I've always loved a bridge metaphor. Whether we're crossing it, burning it, if it's falling down, or we're rebuilding it, it's an image that always pops in my head when change is afoot. From rope-tied foot bridges to the humble highway overpass, we rely on them for the navigations we have to perform to move forward (or backward) in life. 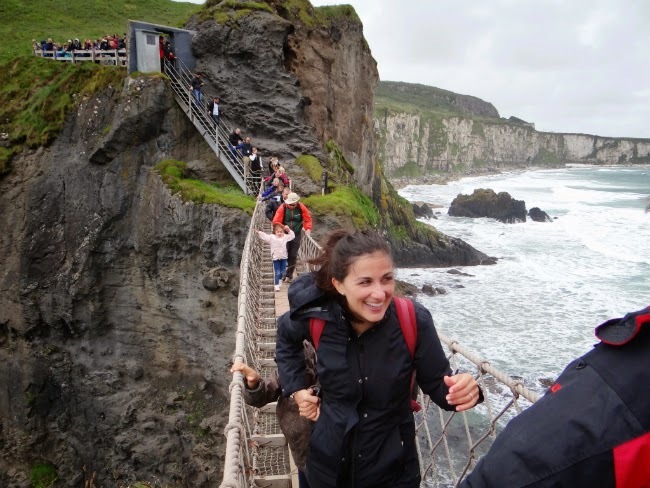 At this moment, I'm recalling Carrick-a-Rede bridge in Northern Ireland. We travelled there this past August, and crossing this bridge was one of the most exhilarating experiences I've ever had. But I'm also using this moment to explain where I am on this blog. I'm not sure I'm going to post here anymore. I have a few projects I'm committed to, and I haven't given the time to this blog that I would have liked. In spite of the spirit of play that I began this project with, I have now turned it into more of a chore. If the mood strikes, I may update the digital world with the three little Ps' whereabouts, and perhaps rhapsodize on the ephemeral beauty of some ruin or landscape we visited. Maybe I'll just pop in and tell you what I think of the world. But I doubt it will be often. I'm crossing this bridge (but keeping my matches in my pocket). 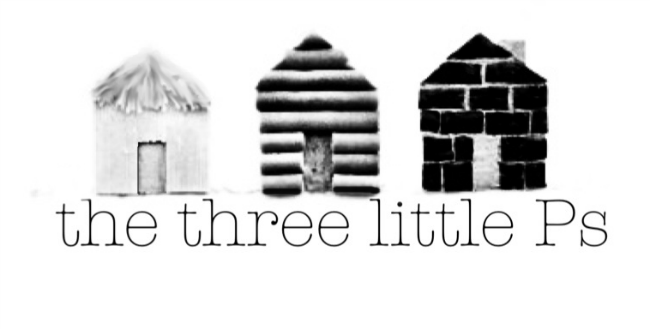 Join my three little Ps and me as we jump off the pages of the story book. Join our not-quite fairy tale about our adventures abroad (with a green twist). I also blog at The Huffington Post. 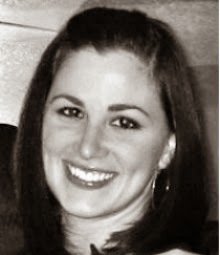 Visit Adria's profile on Pinterest.